With all the distractions of life, it’s easy to lose touch with our natural state of being. But that doesn’t mean that it’s not there. In fact, it’s always there! And when you tap into it, you’re able to quiet your mind of mental chatter allowing you to feel more relaxed, more often. It’s no secret that stress can lead to a whole slew of negative effects. But knowing we need to eliminate it is one thing, knowing what it feels like to live a stress free life is a whole other entirely! You’ll learn how to tune into your body in ways that allow you to reject stress naturally so that you can live with less tension, anxiety and strain. If you’ve ever just “gotten a feeling” about something or had a thought without any interference or use of reason, then you’ve experienced intuition. When your body is aligned with your mind, intuition comes naturally and freely. While painters, writers and musicians all lay claim to being creative, creativity isn’t just for artists. It’s thinking outside of the box, coming up with solutions, adding a unique insight into something otherwise standard and tuning into a world filled with color and possibilities. When you reach creative levels, you unlock a truly inventive and resourceful area of your body that allows you to be creative beyond anything you’ve ever thought possible. When you are spiritually and mentally at peace, you are able to take on the day with a resilient mind, regardless of discord or adversity. When you harness this ability, you create an atmosphere of peace within yourself and others around you. My experience was wonderful.The music, the sound of the ocean waves, the soothing voice, it all created an atmosphere of calm and tranquility. Silent Journey was awesome! Living life with purpose means living life to the fullest. The outcome is balanced with the journey there and the rewards are unlimited when purpose is at play. Whether you’re looking for purpose in life or at work, you must first tune from within. Take Silent Journey Where Ever You Might Go! In an increasingly mobile world, it’s important that we design our products to fit your schedule on your terms. Our popular Zen Collection does exactly that by allowing you to stream your collection from any desktop or laptop computer. When you purchase your Zen Collection, you also have unlimited download access to your collection so that you can transfer your Tunes and Generative Meditation Exercises to any mobile device like iPad, iPhone, Android Device or any other tablet. You simply log in with your account information and have instant streaming and downloadable access to 10 Generative Meditation Exercises and 30 Neuro Tunes (10 Original, 10 Enhanced with Binaural Beats, and 10 Abridged tunes). "I awoke this morning feeling negative and resentful. I chose not to attach to those feelings. This meditation helped me release and bring in what I most want to present to the world today -joy. From my heart, from my creative center I blossom with joy. Thank you." "I will admit it was difficult at first to reach the level of relaxation I was hoping to accomplish. It was not until I used earphones to block out all other potential distractions that I reached relaxation. I was smiling at the end." "Thank you so much for this very soothing and relaxing meditation. I shared this with my friends on Facebook as this particular meditation is so unique. :)"
Disclaimer:In accordance with the latest FTC guidelines, we want to make it explicitly clear that the customer letters we have received are based on the unique experiences and circumstances of a few people only. We cannot promise that you will experience similar benefits from using our product. The generally expected performance of Silent Journey in regards to any specific disease has not been scientifically validated and we cannot and will not make any promises in regards to any miracle cures. searching for with Silent Journey, today! Life is short & you only live once, so why spend it with all that mind chatter? Why settle for just “ok” in your career and finances? Why allow the foundation of your health and relationships crumble? Why let all of that negative mind chatter sabotage your dreams? Silent Journey 2.0 offers a brand new set of exercises called Generative Meditations that will help tune your mind towards your goals. With a little time and help from Silent Journey, you can start living your life to the fullest! But don’t just take our word for it, you can be one of the thousands of people who have already changed their lives with Silent Journey 2.0. Order your Zen Collection and start your journey today! the sub consciousness. Your brainwaves are shifting into a different group. Beta, Alpha, Theta, and lastly Delta. Now these groups are each associated with specific states of your mind. slowest activity of all waves. "O M G … I want to do that AGAIN! Right Now. I want to stay there in that relaxed state. Is that good or not? It. Was. Wonderful!" "The BEST guided meditation! Thank you, I'm definitely going to get the full package! :) "
Silent Journey has developed audio tracks, or Neuro Tunes, that are embedded with subliminal messages called Positive Affirmations. These Positive Affirmations are what helps you get into a deep, relaxed, Zen-Like meditative state. It’s really simple to use, all you have to do have is sit down, close your eyes, play our tracks, and relax. Just listen to the music and let it carry you away. The calming music paired with the Positive Affirmations brings you to a deep state of peace where your mind can breathe freely and all the benefits of meditation can take hold in your subconscious. So when you wake from this Zen-like state you’ll be less irritable, you’ll feel more focused on the tasks at hand, and you’ll find yourself being less stressed. 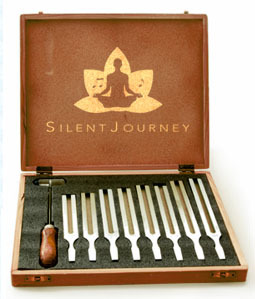 Silent Journey offers you 3 powerful ways to get your mind back in tune! The first is our best selling Generative Meditation Album – a soothing array of calming music with the added bonus of a verbal guide that helps you tune your soul. Then we have our widely popular Zen Collection, whichis comprised of our Original, Enhanced and Abridged albums. Each album contains powerful neuro audio tunes both with and without binaural beat technology and allows you the choice of wither 15 or 30 minute tracks. And for a limited time, we’re also including our Bliss Bonus Album in the Zen Collection! And if you prefer a a breathtaking view with your soothing sounds of soul-tuning bliss, then our Generative Video Collection is the perfect choice! Increase the capicity of your brain! Our Generative Meditation Exercises are designed to tune you into an effective and relaxing state of mind – a state of mind without all the mental clutter. We don’t teach you how to be a better musician, or a more successful businessperson or even how to be a stand-up human being. And unlike other products out there, we don’t tell you what to do or how to do it. Instead, our Generative Meditation Exercises are designed to bring out the abilities you carry within you right now! Each exercise allows you to empower yourself so that you can achieve all the things that matter most to you. It’s like having your very own Sherpa for your journey towards Zen. It’s no secret that when your body is calm, your mind will follow and we’ve designed each Generative Meditation Exercise to address particular areas that often prevent us from this calm state of being. Balance is important in all aspects of life, but when it comes to our minds, it’s crucial that we are balanced from within. When we achieve a healthy alignment between our mind and body, we are better able to handle all that comes our way with calm and grace. This Generative Mediation Exercise helps you tune into a state of sheer balance, allowing you to harness a meditative state throughout your entire day. It’s a common misconception that the things we want are in fact defined by what gets us these things and not the things themselves. For instance, people often say that they want money, but in fact, what they really want is what money could afford them and the experiences it could create. This exercise helps you tune in to a level of stability through effective goal setting so that you may eliminate the misconceived “want” and find the intent you are truly looking for. When you live your life with purpose, you often unlock the inner strength needed to remain in a healthy and positive state of flow. But doing finding that inner strength isn’t always easy. We’ve created this Generative Meditation Exercise so you can find the purpose and strength already inside of you while also learning ways to tune in this state of mind long after you’ve finished your meditation exercise. Do you know how to relax? It sounds simple enough, but these days it is much harder than we think. Well, let us be the first to tell you that you have never relaxed like this before. This Generative Meditation Exercise helps enable you to quiet all the chatter in your mind – all the unnecessary thoughts that build up over time. When you use this insightful exercise, you’ll learn ways to tune yourself into a more relaxed state than you’ve ever felt before. Wouldn’t that be nice? When we bring the pieces of meditation together, we start to clearly experience and embody what it means to possess relaxation, focus, and Zen. This Generative Meditation Exercise packs quite a punch in that it helps you tune into your abilities within in order to bring everything together. With this exercise, you’ll be able to slow down and tune into a calm state of mind, allowing you to be at peace well after you’ve meditated. After all, we don’t meditate for the sake of meditation itself, we meditate so that we can carry that state of being with us throughout our day – throughout all that life brings our way. While some people seem to have it all figured out, it is by no means typical to know what our true calling is. In fact, psychologist, Abraham Maslow, said; “It is a rare and difficult psychological achievement.” This exercise let’s you explore your own nervous system so you can see and feel what’s possible. It allows you to reach inside and find the confidence that lets you to tap into the motivating and inspiring circumstance of your true calling. Wisdom is physical, sensory and internal, not spoken. It is something we feel and embody and cannot be taught; yet we are often conditioned to feel that we either have it or we don’t. But as with anything, when we change our thinking, we change our lives. This incredible exercise helps you to connect with the inner wisdom that already resides inside of you so that you can feel the effects of a body-mind connection. What do you really want to experience in your life? What do you really most want to bring into this world? These are important questions, but we often try to answer them from our thoughts – from our thinking. But in fact, the answer lies from within. Use this powerful exercise to help you tune into the answers that live within you. Allow yourself to be aligned, centered, completely open and relaxed all at the same time with this incredibly effective exercise. You’ll tune your body to shift from thinking to breathing so that you may find your own journey. Good things start to happen with the right posture and breath and you’ll go well beyond that when you learn ways to tune into the journey within. Achieving Inner Peace is important, but learning ways to achieve it in the moment, to open to it, to bring it out into the world and then live from that place is the true achievement in embracing your inner peace. This exercise will help you get into your own inner peace while aligning your body and mind to it. The Zen Collection supplies you with every thing you need to finely tune from within. The Original Album is comprised of a soothing array of harmonies that help you relax while meditating, while the Enhanced Album is carefully infused with binaural beats, which unlock frequencies in your brain otherwise difficult to access with meditation alone. The Abridged Album is a condensed version of the Enhanced Album for those on the go. Our Neuro Tunes are composed with binaural beat technology and soothing harmonies that unlock frequencies often found on the highest levels of meditation. Together, our complete suite of products will not only get you playing to your finest tune, but they may enable you to reach the music within you more often. For those of us who prefer a breathtaking view with our meditative exercises, this impactful Generative Video Collection is just the answer! Whether your eyes are opened or closed, the results of these exercises are incredibly poweful, but sometimes it’s easier for people to visually get into their state of flow. We understand this completely, which is why we’ve created this Generative Video Collection. Simply get into a comfortable position, put on a pair of headphones and relax as you watch the breathtaking views before you while being a thoughtful verbal guide helps you tune yourself throughout the exercises. 4 Downloadable Albums; our Awesome albums are now downloadable! What are the most frequently asked questiosn about Silnet Journey? Q Why should I meditate? A Good question. You’ve probably heard that exercise is good for your body and that the right foods help prolong your health. Well, the same is true for your mind. Meditation helps keep your mind healthy by clearing mind chatter that builds up throughout the day. And when you clear your mind of all that mental clutter, you’re able to find inner peace, gain clearer direction and live life with less stress. Q Why would I use Silent Journey over another audio product on the market? When you meditate effectively, your brain waves shift allowing you to enter an advance, more tranquil level of consciousness called the Alpha Level. The problem is, people find it difficult to stay in the Alpha level long enough to experience the true benefits of meditation. As a result, people get distracted from things like mind chatter and they tend to lose focus or grow restless. Q What is Mind Chatter? A We use this term a lot. So much that we sometimes forget it can be a bit confusing. Mind Chatter is your inner dialogue. It’s also called mental noise and mental clutter, because that is what it does. It clutters your mind from clear thinking. It’s a deeply embedded habit that continues unless it is slowed down. Meditation helps slow Mind Chatter down so you can focus on what’s important. Q How should I listen to my tunes? A Everyone has their own preference for listening, some people lay down and some sit back in a chair while others prefer to listen while on their way to work or school. Q Can I download my tunes directly onto my mobile device? Unfortunately, you cannot download directly onto your mobile device – it’s just how the devices are made. Fortunately there are some great options for experiencing your Zen Collection on your mobile devices. Click here to see how.